This critically acclaimed 45 minute film offers an often overlooked perspective on fly fishing – the female perspective. But the film is more than that. 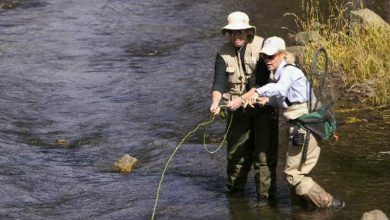 It is about how fly fishing has allowed the women featured to connect with a deeper part of their psyche and come to terms with their place in the world. It is about adventure, empowerment and self-reliance. We learn how fishing has helped the protagonists to recover from breast cancer, regain health after a heart scare, and find a way to slow down in a hectic world.Consisting of interviews with a several lady anglers, intercut with poetry, prose and shots of beautiful fishing locations. Following a near-fatal rock-climbing fall, Art Webb was looking for something to help him recreate the adrenaline highs that climbing had provided him. 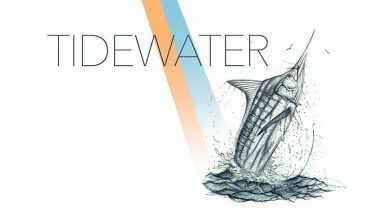 He found it: chasing some of the fastest fish in the ocean – marlin and other billfish – with a fly rod. As his stories of his adventures spread, two of his friends – fishing obsessives Brian and Colby Trow, couldn’t pass up the chance to join his mission to catch marlin in their home waters off Virginia. Director Shane Anderson made a pilgrimage to the Olympic Peninsula in Washington state to the rivers he once fished as a boy. His relationship with the wild steelhead and the rivers in which they met upon taught him just how precious life can be. What was once a childhood fishing trip has evolved into a journey to find answers why his favorite fish is disappearing from the rivers and appearing on the Endangered Species list. 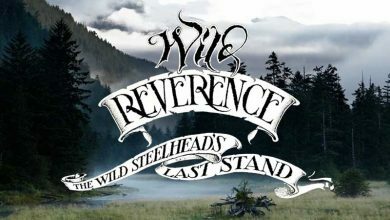 How could this wild and beautiful creature slip toward the abyss of extinction?WILD REVERENCE embarks on a quest to begin a movement to enact real change not only for the steelhead but for all ecosystems. 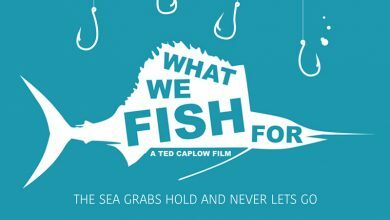 What We Fish is a documentary style film that explores the multitude of reasons that drive so many people to take to the water and go fishing.The film introduces us to four friends, an engineer, a journalist, a musician, and a professor, who share a passion for fishing. But each of them fish for different reasons.Joe, the musician, inspired by Ernest Hemingway, fishes to target some of the ocean's most thrilling game fish - blue marlin, tuna, dorado... Like Hemingway, he's seeking to test his mettle in the face of nature's power, whether that's the sea, or the fish.Sarah's a journalist who started fishing because she wants to know where her food was coming from. She's all about sustainability, and self-sufficiency. She's got a lot to learn, but she's keen to get stuck in.Ted's the engineer. He's a spear fisherman on a mission to help rid the Western Atlantic's coral reefs of invasive lionfish. He's making a one-man bid to try to slow the spread of this incredibly damaging species and save the reefs that have fascinated him since childhood.But for Andy, fishing is all about escapism - from the rituals and routines of daily life in the city. He's fished all his life, throwing flies for bonefish from a flats boat, not for food, but for the thrill of the hunt. 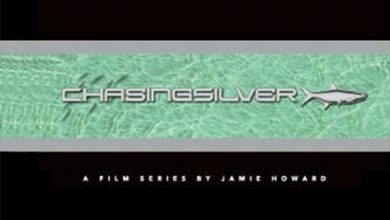 As he starts to think like a hunter, his everyday cares are forgotten.With an evocative soundtrack accompanying stunning photography and underwater sequences, this film explores emotions that every angler has experienced.